An Eastside Catholic education represents a life-changing opportunity for students. No one who passes through our halls remains unchanged. Please help us ensure that every child who wants to attend EC may do so, by donating to cover the gap between the cost of running the school's many incredible programs and tuition. With your support, Eastside Catholic will continue to change the lives of young men and women, regardless of ability to pay. Through your generosity, we continue to keep EC on strong financial footing. The generous philanthropy of the Eastside Catholic community provides a margin of excellence that acts to fuel the life changing experiences of our students, faculty and staff. Thank you for your support of our mission, vision and values. Whether you have time, resources or both to share, your support of Eastside Catholic is welcome and deeply appreciated. There are a number of ways you can get involved in supporting the mission of Eastside Catholic. Explore the links below to learn more. The Annual Fund is a cornerstone of Eastside Catholic School’s fundraising campaign. Yearly gifts from parents, alumni, grandparents, faculty, staff and friends of Eastside Catholic are the primary source of revenue bridging the gap between the cost of educating each student and tuition income. The mission of Eastside Catholic is to be a Catholic faith-based educational community where students learn to integrate their thinking and believing in ways that encourage intellectual excellence, nurture relationships and inspire a life of leadership and service to others. Two fundamental components of our mission are: to keep tuition affordable and to provide tuition assistance to talented, qualified students. The Annual Fund helps to achieve both of these goals. Tuition is the largest source of revenue for our school, but it does not fully cover the cost of our school's academic programs, our strong level of tuition assistance and the operation of our facilities. Your investment in the Annual Fund validates our mission and shows that you are invested in the future of EC. The STARS Gala Auction is an elegant evening with dinner, enticing raffles and silent and live auction items. This successful community celebration is also the largest fundraising event for Eastside Catholic School. The funds raised are needed to support educational programs, maintain campus operations and provide tuition assistance. Everyone is invited and encouraged to attend. This signature celebration would not be possible without the extraordinary generosity of our volunteers, corporate sponsors and donors. Thank you for your donations of items, cash, time and creativity – they are invaluable to our success. Learn more and join us on March 23, 2019 for the 34th STARS Gala Auction at the Hyatt Regency Bellevue. Making a gift of stock is simple. Please follow the steps outlined below. If your securities are held electronically ("in street name") with your broker, you will need to send your broker a letter of authorization to transfer (not sell) shares of specific stock(s) from your account directly into Eastside Catholic's brokerage account. Please send a copy of this letter to: Eastside Catholic, Advancement Office, 232 228th Ave SE, Sammamish, WA 98074 or fax to 425-392-5160. Stock gifts are valued at the mean between the high and low value of the stock on the date of the transfer. A key component to the future of Eastside Catholic is financial stability. This requires not only good stewardship of our annual resources, but the development of a strong endowment fund that will support us over time. An endowment is an invested donation that keeps principal intact and uses assets from the return on investment to supplement the operating income of the school. A strong endowment provides Eastside Catholic with the opportunity to grow and innovate. One of our top priorities is to increase the endowment to ensure our economic vitality. Endowed scholarship funds can be established with a gift of $25,000 or more and proceeds will be distributed when the fund reaches $50,000 or more. Endowment gifts are invested, keeping the principal intact and distributing a portion of the return on investment to provide scholarships and tuition assistance to benefit deserving Eastside Catholic students. Donors may continue to contribute to an endowed scholarship increasing the impact of the scholarship on the Eastside Catholic student body. If you have any questions please contact the Advancement Office at 425-295-3037. Eastside Catholic has partnered with the following organizations to provide opportunities for our community to give back to Eastside Catholic through activities such as grocery shopping, dining out or shopping online. Just designate Eastside Catholic as the recipient school. It’s easy to participate in one or all of these programs! Shop online at AmazonSmile and a percentage of your purchase will be donated back to EC. AmazonSmile is a simple and automatic way for you to support Eastside Catholic School every time you shop, at no cost to you. 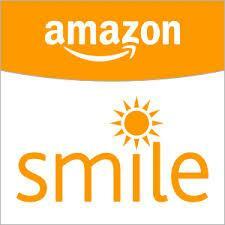 When you shop at smile.amazon.com, you’ll find the exact same low prices, vast selection and convenient shopping experience as Amazon.com, with the added bonus that Amazon will donate 0.5% of the purchase price from your eligible AmazonSmile purchases to Eastside Catholic School. Register on your first visit to AmazonSmile and select Eastside Catholic School to receive donations from eligible purchases before you begin shopping. Bartell Drugs 'B' Caring program will donate up to 4% of your purchase amount to Eastside Catholic. The 'B' Caring Card is not a gift card so no purchase is required up front. Once registered, have the cashier swipe your 'B' Caring Card at checkout or type in your 10 digit phone number, and a percentage of your total bill will be allocated to Eastside Catholic School. Sign up to participate and register online at eScrip.com/BCaringCard. Shop at Everything Party (Redmond and Renton) and mention "Eastside Catholic" at checkout. A percentage of your purchase price will be donated to EC. Link your Fred Meyer Rewards Card to Eastside Catholic School by visiting community rewards page at fredmeyer.com. Whenever you use your Fred Meyer Rewards Card, you will be helping Eastside Catholic earn a donation from Fred Meyer. If you do not have a Rewards Card, you can sign up for one at the Customer Service Desk of any Fred Meyer store. Through eScrip, participating merchants contribute each time your family makes a purchase using your grocery club or registered cards. Visit eScrip.com to sign up. Eastside Catholic School ID is 8562060. Questions? Contact us at 425-295-3037 or advancement@eastsidecatholic.org. Volunteers are at the heart of the Eastside Catholic community! From parent groups like PTF, PFSA and Boosters, volunteering is a great way to support your student, get to know other parents, guardians, faculty and staff and give back. The time and dedication that our community members share with us is deeply appreciated. If you have questions about volunteering at Eastside Catholic School, please contact Director of Special Events Mayten Gross at 425-295-3041 or mgross@eastsidecatholic.org. Eastside Catholic School gratefully acknowledges the generosity of the individuals and organizations who invest in building Eastside Catholic's educational tradition. Read our 2017-18 Annual Report for more information. View the Eastside Catholic Gift Policy FAQ. Make your gift to the Annual Fund and touch the lives of Eastside Catholic students and faculty. Make your gift online today!